A small 9 x 12" Painting I did for a friend who I have known for years. This Painting was done from a snapshot that my friend Jim Rohret took while visiting with the man in the painting who was his "Lieutenant Dan" (Forrest Gump) as he told me with a small smile on his face..while serving in Vietnam. The map is important because that's the same map that Lieutenant Krussel got out of his gear and referred to so many times while in some of the most dangerous areas of Vietnam and also an area referred to as the Parrots Beak in Cambodia. You are probably familiar with the movie "Platoon" the Oliver Stone movie well..Oliver Stone did serve with the 25th Infantry Division in Vietnam as well as Jim and Lt. Krussel and they actually replaced the company that Stone was in when they rotated out of Vietnam. Jim has told me some other stories when we get together since we are both Veterans and I was glad to hand this painting over to him and expect nothing for it in return...why...because that's part of Sacrifice and Veteran's along with their families know what that word is all about! 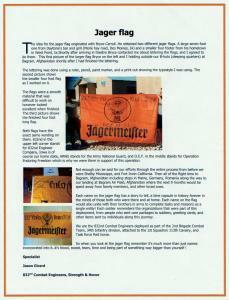 Afghanistan "Operation Enduring Freedom 2010-2011"
The idea for the jager flag originated with Bryce Carroll..he obtained two different jager flags. A large seven foot one from Daytona's bar and grill (Merle hay road, Des Moines, Ia) and a smaller four footer from his hometown in West Point,Ia.Shortly after arriving in theatre Bryce contacted me about lettering the flags, and I agreed to do them. This first picture of the larger flag Bryce on the left and I holding outside our B-huts (sleeping quarters) at Bagram,Afghanistan shortly after I had finished the lettering. The lettering was done using a ruler,pencil,paint marker,and a print out showing the typestyle I was using. 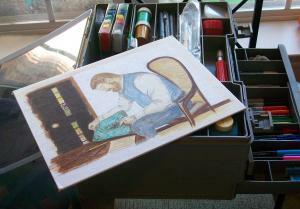 This second picture shows the smaller four foot flag as I worked on it. The flags were a smooth material that was difficult to work on however looked excellent when finished. This third picture shows the finished four foot long flag. Both flags have the exact same wording on them. 832nd in the upper left corner stands for 832nd Engineer Company, Iowa is of course our home state, ARNG stands for the Army National Guard, and O.E.F. 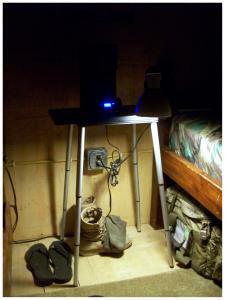 in the middle stands for Operation Enduring Freedom which is why we were there in support of this operation. Not enough can be said for our efforts through the entire process from before we were mobilized,the training while in Fort McCoy Wisconsin, Camp Ripley Minnesota, Camp Shelby Mississippi, and Fort Irwin California. Then all of the flight time to Bagram,Afghanistan including stops in Maine, Germany, Romania along the way to our landing at Bagram Air Field, Afghanistan where the next 9 months would be spent away from family members,and other loved ones. Each name on the jager flag has a story to tell..a time capsule in history forever in the minds of those both who were there and at home. Each name on the flag would also unite with their brothers in arms to complete tasks and missions as a single entity ! Each soldier remembers the organizations that were part of this deployment, from people who sent care packages to soldiers, greeting cards, and other items sent by individuals along this journey. This fourth picture of the 832nd Combat Engineers (2nd Platoon) part of the 2nd Brigade Combat Team, 34th Infantry division, attached to the 1st Squadron 113th Cavalry,and Task force Redhorse. So when you look at the jager flag remember it's much more than just names incorporated into it..it's blood,sweat,tears,time and being part of something way bigger than yourself ! 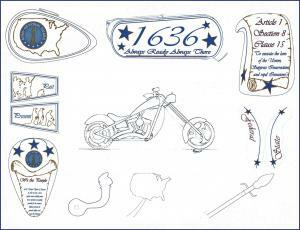 In 2007 I entered the Army National Guard Chopper Design Contest through Orange County Choppers (O.C.C.) and the Learning Channel. I ended up placing as a runner up of the top 20 designs out of over 200 people that entered the contest. The contest was fun to be in and I later received the follow up appreciation letter from Deputy Director of the Army National Guard Major General of the Army James W. Nuttall so that in itself was quite an honor! The Web link is to view the appreciation letter. 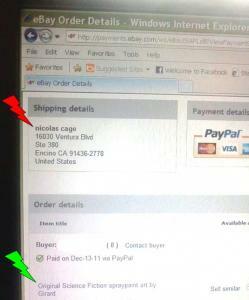 Artwork bought by actor "Nicolas Cage"
So Nikki and I got home from shopping last night (December 13, 2011) and I checked my emails. Wow I see I sold another Space art piece. The last one went to New York and this one is going to California..then I see the confirmed name and address.. Nicolas Cage, Ventura blvd, Encino California with a suite #. So we were not sure what to think but it was getting the gears turning for sure! A couple days passed by and some friends were posting on my news feed and left a link to the profile on Nicolas Cage, and also one on One of his Production Companies in California... Really interesting stuff.. So the above sites are his work and profile..if these will not open up the actual newsfeed links are in my wall photos on the art work that he bought! So this was really getting real because at the bottom of the Saturn Film site..if you scroll to the bottom of page on the right side will be a small map and the exact same address and suite # that I mailed this art to ! Pretty awesome knowing that 1. any one could be watching what you are doing or selling, 2. anything can happen, and 3. I will gladly come out to Nicolas Cage's place to paint some murals for him..no problem! About a 15,000 mile journey altogether! 3 week training with California National Guard,and also some Slovanian Military units! We also visited Dachau a World War II concentration camp Museum before arriving in Munich for a day pass! A once in a lifetime visit ? After arriving back in the States I got 4 hours sleep,and time for work then left the next morning for a Bahama cruise,along with Ft.Lauderdale beachfront hotel. Disney's Epcot,and Animal Kingdom finished the trip out. Glad to be home now for a couple months anyhow! 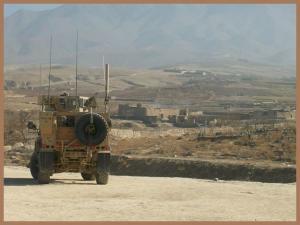 A tour in Afghanistan is on my horizon this year. Trying to get things organized for the family before the deployment. "Gonna be hard on the family for sure" however the Guard has some good programs, and activites to help families in these times. Our mission will not be easy for sure..mountainous regions 12 - 24,000 feet in height, language barriers, climate, and the enemy all factor in to what will be the toughest mission I have ever faced in my life ! S.P.S. At the end of my speech the audience will be persuaded to have any Liquid Propane or Gas systems thoroughly checked. Thesis Statement Each year thousands are injured or killed in Propane Gas explosions. 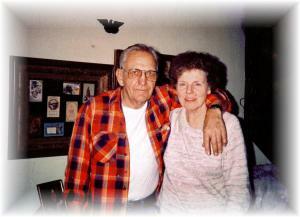 my Grandparents. So you ask how could this have happened ? One answer I will state is that there are safety issues associated with the use of Liquid Propane Gas. I will also state that this happened due to negligence on the part of 1. a Liquid Propane provider and 2. a furnace company. Body The Iowa Propane Gas Association states that around 5 million households use propane for heating homes and almost 3 million use propane for water heating. With this being said the need for safety must be a top priority. Since propane is a odorless,and colorless gas the need for the flammable gas to be noticed in the event of a leak is high. It cannot be colored however a odorant (ethyl mercaptan) adds a rotten egg smell to help aid in detecting a leak. Propane is also considered a heavy gas and will accumulate in low lying places such as basement floors.So it stands to reason if you have a larger house with a basement it could be easy for a propane leak to go undetected especially if the ethyl mercaptan level is not sufficient. There is a strong need for a quality propane tank free from defects such as dents,fire damage,including corrosion such as rust (according to I.P.G.A. and public safety code 661 chapter 226 of Iowa code pertaining to propane tanks) So with this being stated lets go back to 1993 in the weeks and months following the explosion. Through countless hours of investigation it was found that the propane provider �Crows Superior Gas� supplied 75% of the L.P. tanks to this town of 400 including my Grandparents.All of the tanks supplied by Crows Superior Gas were constructed in the year 1955. Also that my Grandparents tank was electronically filled with ethyl mercaptan to a unsatisfactory level. Further more the inside of the tank had a high amount of rust inside which greatly reduced the odorant smell that warns people of a leak. It was also found that the gas control valve on the furnace which controls the amount of Gas coming into the furnace failed. Recapping the events on that afternoon my Grandparents called to have the propane tank filled the tank was filled the gas control valve failed on furnace letting a unknown amount of propane to flood the basement. No one could smell a leak due to insufficient level of ethyl mercaptan in propane tank and due to the rust in the tank. Two hours later a sump pump in the basement kicked on producing a tiny spark which ignited the liquid propane causing the explosion. It�s obvious to me the need for a new policy to be made in not only L.P. Companies but also Furnace Companies involving safety. A plan where safety checks by certified technicians be made annually in support of the consumer. My plan would pass mandatory magnetic particle, radiograph, or ultrasonic inspection of large L.P. tanks. These tests look for internal flaws such as cracks, corrosion, inclusions, and thickness variations. As of now these are not mandatory. The practicality issue of my plan deals with consumer rights and safety. The National Propane Gas Association website states (and I quote) Safeguarding your business from intrusive government regulations and promoting policies that enhance your position is the goal of N.P.G.A. furthermore N.P.G.A. has 3,500 member companies dedicated to rolling back harmful regulations and promoting new rules that make life easier for propane retailers. Where is safety ? Some issues N.P.G.A. is involved with right now are climate change-which would require propane producers to purchase emission allowances beginning in 2012. Fuel tax credit extension � a 50 cent per gallon tax credit for propane retailers involving motor vehicles or boats is set to expire this year. Where is safety ? Is safety put to the side like in the case of my Grandparents ? over 40 year old gas tanks with rust in them. Not enough odorant. Superior Gas even tried to take the tank from the property two days after the explosion. They failed to get it. The furnace provider Honeywell could not be held liable on the gas valve due to a loophole in the system. On a side note in researching this speech I found a Consumer Product Safety Commission article from 1982 stating the recall of over 200,000 gas control valves used in heating appliances fueled by liquid propane. Made from 1966-1972 these valves accounted for 28 explosions to include 5 deaths and 21 injuries. If my Grandparents would have been informed by Honeywell like they were suppose to of the faulty valve they may still be alive today! 76% of Americans use gas grills and they can be dangerous. I hope you feel the need for policy change in the Propane/Furnace industries. 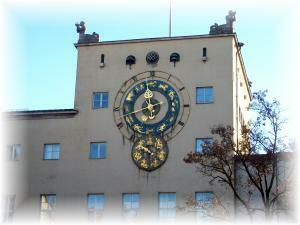 Don�t take a chance on leaving a crumpled heap of memories behind. Have your systems checked !